When we think about affirming children, we usually think of using encouraging words to empower them, or calling out their strengths and character. However, an interview with Toby, an 11-year-old pre-teen, reminded me of an aspect of affirmation that can be easily overlooked by parents – being present in the lives of their children. Toby recalls an instance when he felt tired just looking at the amount of homework he had to complete. His parents assured him saying, “You can handle it,” and it made him happy that they were there to comfort him when he was down and stressed. During the June school holidays, his parents guided him to make a to-do list that would help him manage his holiday homework. They also made the time to bring him on a trip to Phuket where he got to enjoy playing his favourite outdoor games with his cousins. Spending time with his parents who made the effort to take him out and get his mind off his school work is something he really appreciates, and he encourages other parents to do the same. In all that Toby shares, there is a recurring theme – his parents’ intentional and reassuring presence in his life. He knows that they have his back, and that makes him feel secure and loved. You’re the most significant person in your child’s life. My mum chose to become a stay-home mum after I was born, and I was blessed to have someone to come home to every day after school, to enjoy her home-cooked meals and doting care. My dad had a busy job, but he made every effort to have family dinners and create memories through fun outings and holidays. I believe their constant presence in my life is a primary reason for the sense of stability and security I feel as an adult. This doesn’t mean that you have to rush to quit your job, and it may not be feasible in some cases where finances are tight, or in single-parent households. However, Dr Leman urges all parents to take a hard look at their priorities. Why do you spend time away from home? Is it really because you have to? Can your children say with confidence that you love them, and are there to support them? Being present for your children doesn’t mean staying with them every waking hour, but it does mean making a concerted effort to assure them of your love and care. They will appreciate you being there for them when they are stressed about examinations or disappointed about losing a competition. 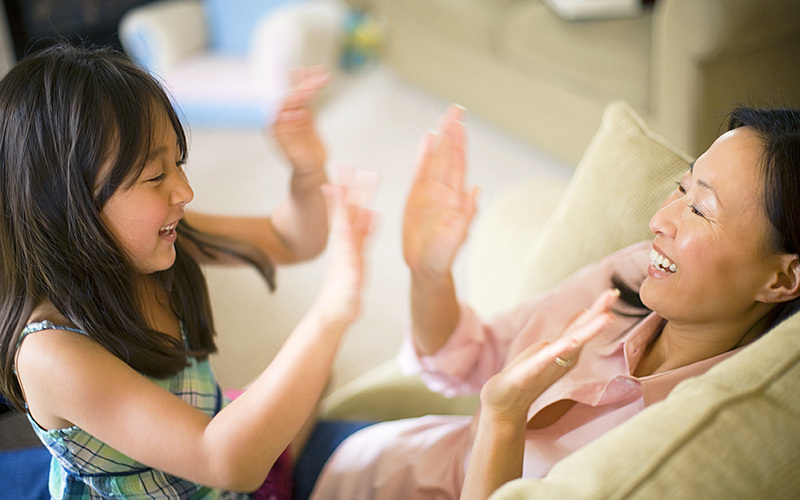 Can your children say with confidence that you love them, and are there to support them? It also matters a lot to them when you celebrate their milestones moments such as graduations and birthdays. Even seemingly routine activities like chatting over family meals or listening to them share about their day while being tucked into bed speaks volumes about how much you care. As Toby wisely shared, “The key is to spend time getting to know your children better so you know how best to care for them. Spending time connecting is a way to get started.” Ultimately, it means being fully present in those moments you have together, giving them your undivided attention, undistracted by mobile gadgets and work demands. Special thanks to Tobias Koh for his contributions to this article. Toby is an active and articulate boy who was recently elected to be the Vice President of his school’s student council. His parents were his main support during his election campaign. Wish to build a stronger relationship with your soon-to-be teen? Join us for an unforgettable afternoon at Create with Mum (for mums and children 11-14 years old) at www.family.org.sg/CreateWithMum.